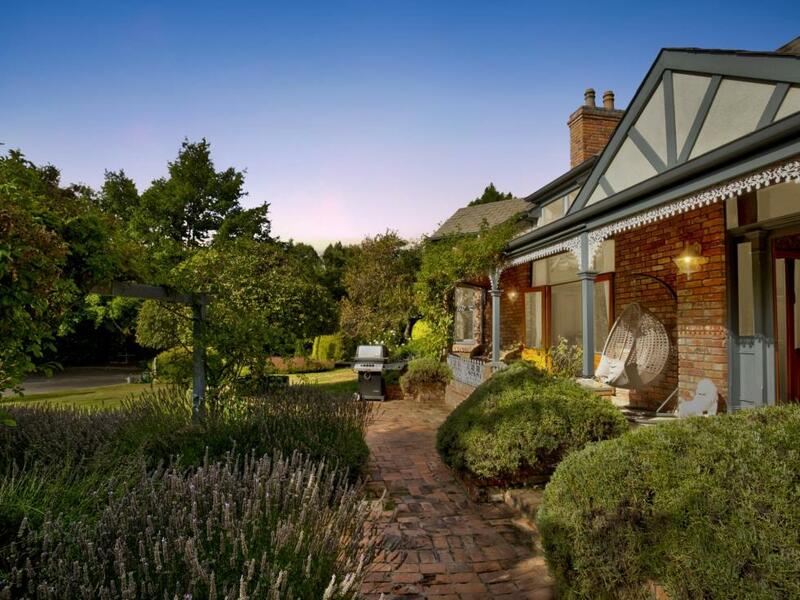 Bricken Creek Homestead - an immensely appealing and private home set within botanical park like grounds. The solidly constructed residence comprises of three bedrooms and two bathrooms and is sited on 3.25 acres. This is no cookie cutter house and brims with distinctive elegance. Construction comprises red bricks sourced from the old Radio Hall in Winton and the roof is clad in Belgian slate. The residence is beautifully discreet from the street. Once inside the gates, walk up the attractive lavender lined path to a long Australian style verandah offering the perfect vantage point to enjoy the spectacular garden, birds and view. Step inside the front door to a lovely entrance - the ideal separation point where the new owner can usher guests to either the formal lounge on the left (complete with chandeliers) or more casual day to day living on the right. There are character features at every turn including Rimu detailing and decorated ceilings with both light and space beautifully employed. At the heart of the home is a large farmhouse style kitchen. The master bedroom has an en-suite with bath and walk-in robe. The other two bedrooms have built-ins and share the family bathroom. There is a separate office and separate laundry. Great heating throughout includes an open fire in the lounge, two heat pumps and underfloor heating making this a very warm home in winter. There is an internal access double garage, a second double garage with adjacent workshop and then an extra-large shed ideal for storing toys or further vehicles. The enchanting gardens means those with green fingers can work till their hearts content. The creek running through the property provides a tranquil place to relax beside. Zoned for Arrowtown School and just a short walk to the iconic Lake Hayes. The location is exemplary. Parting with this cherished property will not be easy but our Vendors take comfort in the twenty years of memories that they have accrued here and wish new owners the same contentment.